The body’s ecosystem is such a marvelous and mysterious thing still, even with so much research done to understand how the human body works. One area of research about our body’s ecosystem that’s so fascinating is around the olfactory region or our sense of smell. Did you know that our sense of smell is almost ten thousand times more sensitive than our sense of taste? Did you know it’s infinitely more complex that we perceive through our eyes? When we use our eyes, the brain uses 3 types of photoreceptors to process the image. When we use our nose, we use 100’s of different kinds of receptors. Without getting too deep into the science, there’s a ton of research showing that natural essential oils will stimulate various parts of our brain, including the parts that will control our emotional responses. Our own everyday experiences align with modern scientific research. We smell garbage and we have an emotional reaction of disgust; we smell eucalyptus and we feel soothed; we smell lavendar and feel peaceful (and its energetic qualities actually are demonstrated to help lull you to sleep); we smell citrus and feel a bit pepped up. The list goes on. In fact, even retail stores spend a pretty penny on perfumes that induce optimism and impulsion to splurge based on studies that show certain scents get us to open up our wallets more easily. Essential oils and corresponding scents are used in traditional medicine (eg. ayurvedic, naturopathy, aromatherapy) and a recent clinical study has demonstrated clear benefits of aromatherapy on arthritis patients by using oils like rosemary and peppermint. A core principle in using essential oils to balance the body’s ecosystem is the notion that our body has energy meridians that need to be balanced. Some cultures/medicinal approaches call it the “yin” and the “yang”, others call it “doshas”, still others might look to the “alkaline” vs. “acidic” nature of our bodies. In short, there are opposing elements in our bodies that need to be balanced for optimal health. And these elements are affected by our diet, amount of sleep we get, our psyche, our emotional health, among many other things. The essential oils are shown to impact the psyche, emotions and also induce things like sleep if we need it or pep us if we need that. There are entire studies and phd’s around aromatherapy and essential oils so this entry won’t do it justice, but in a nutshell, each essential oil and scent can help balance the body and in turn, improve the skin from the inside out. We love going through each scent and learning the benefits of each. Just to scratch the surface: Hinoki- calms the mind and increases focus; Lemon pine- fights afternoon drowsiness; Lavendar- soothes and lulls; Eucalyptus- helps focus and clears mind to alleviate stress. Here are some of our favorite essential oils that we use around here. 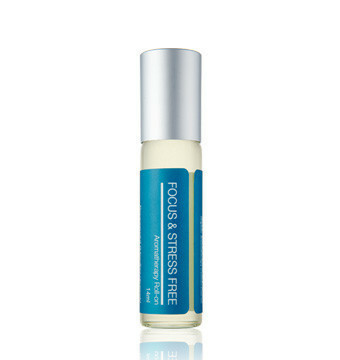 Focus and Stress Free roll-on (I use this everyday!) and the Good Sleep roll-on. 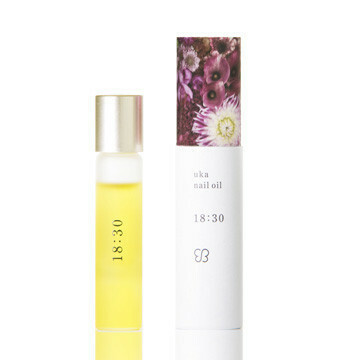 And the lovely uka nail essential oils that is super luxe using an argan oil base, can be used on the nails, temples, neck, pretty much all over the body where dry or soothing, even the lips! With that, cheers to a balanced and healthy weekend!